My favorite fighting game series of all time has and always will be Namco’s Tekken, also known as The King of The Iron Fist Tournament. I have been playing this game series since its third installment released for the PlayStation. I was young when my uncle purchased Tekken 3 as the latest addition to his PlayStation collection. A very cool looking Jin Kazama was on the front cover. I did not know this character right away, but my uncle introduced him as the best character in the game. With that said, he played through story mode with Jin and I watched his ending. After, I played Tekken 3 a good deal at my uncle’s house before even getting my own PlayStation console. It wasn’t long after that I finally got the console for me. It was then that I really got a taste for the game and became familiar with the different characters and their fighting styles, which brings me to the first reason why I fell in love with the game. The fighting styles of the characters are based on real martial arts, and the martial arts of each character matched their country of origin. 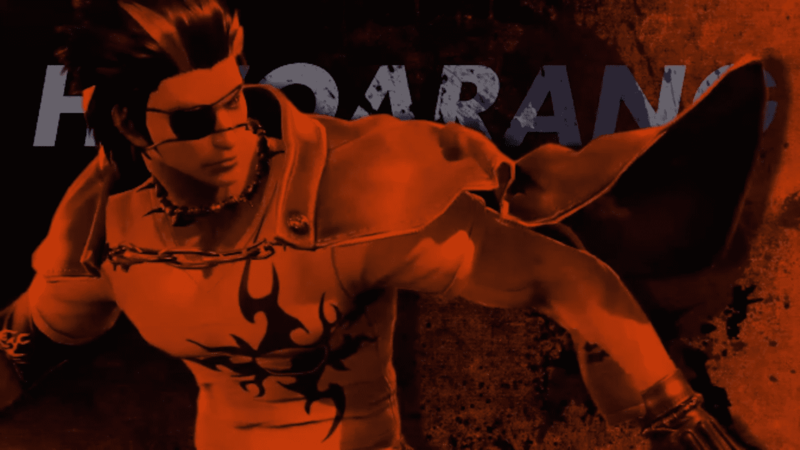 For example, one of the character besides Jin that I started liking is Hwoarang, who is from Korea. All of Hwoarang’s moves are based on Taekwondo. The same goes for Jin. Since his country is Japan, his fighting style is a form of Karate, which originated in Japan. The other character that was intriguing is Marshall Law. He is from China and his martial art is based off Jeet Kune Do. It was easy to learn how to play with both Hwoarang and Law, at least for me. I didn’t really play with any other characters besides Jin, but if I ever did, it would be one of those two. This held true for all Tekken games that followed. Another reason why Tekken made an impression on me was each character themselves. Aside from the fighting styles being based on real martial arts, there were and are a couple of characters that were based on real martial artists. The first such character, whom I already mentioned, is Law. He is based on the legendary Bruce Lee. 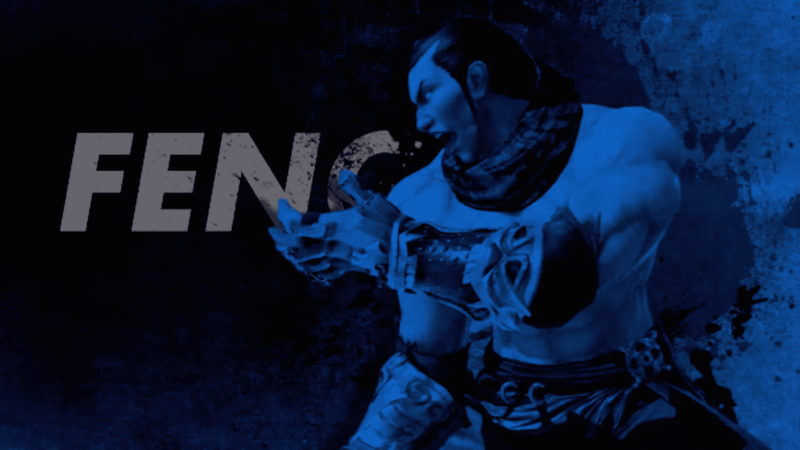 Another character is Lei Wulong, who is based on the renowned actor Jackie Chan. Lei Wulong, like Law, not only resembles the person he is based on, but he incorporates this into his fighting styles too, and is a master of five different styles of Kung Fu, just like Jackie Chan. The third example is the character Raven. Raven is a ninja who is based off Wesley Snipe’s Blade. I would now like to briefly write why I liked Tekken Tag Tournament, since it differed slightly from the rest. Instead of fighting one on one, in it you chose two characters which you could switch in the middle of a fight, as the title implies. This allowed me to play with Jin and Hwoarang at the same time, my two favorite characters in the series. The gameplay was indeed pretty similar to its predecessors, but the graphics were once again turned up a notch. The fact that Namco was constantly stepping up their game was definitely a factor in my loving the game. I must also mention Feng Wei, who was a new addition to Tekken 5. Feng Wei became my third favorite of all time in the Tekken series and has remained with Tekken since then. His fighting style is that of Shaolin monks and he boasts to be a master of his arts. Feng Wei is easily one of the best characters to play with. Tekken‘s ability to produce new characters and still keep my interest was yet another reason why I couldn’t keep myself from sticking to the game. I have always loved to customize characters in games. Tekken 5 allowed you to customize your characters with your clothes, accessories, and other items, which will also be the case in upcoming Tekken games. You do this through fight money that you win while playing Arcade Mode. This feature has remained with Tekken since then and has been one of my favorite aspects of the series. After Tekken 5, Tekken 6 and Tag Tournament 2 released for PS3. The graphics, sound effects and special effects only got better as newer titles were released. It was amazing how much of a difference there was in the graphics from PlayStation to PS2, let alone the jump from PlayStation to PS3. You would fight in mesmerizing green fields filled with flowers, castle ruins in street rings, and many other very realistic and stunning environments. The change in Tekken 7 for PS4 was far beyond that of any of the previous games. It may sound cheesy to say, but the seventh entry was and is one for the records. I didn’t think the graphics could change that much, but they were far more realistic than those of the previous Tekken games. The environments were even more mesmerizing than before. The special and sound effects really do their parts in getting players absorbed into the game. They make you feel as if you are the fighter themselves with every punch, kick, or grapple. A new super feature was also added to Tekken 7, similar to Street Fighter‘s and SNK‘s super moves, but instead of using power projectiles, characters use damaging combos. Each character has a special ability that kicks in when you are on the ropes, which you could use as a last ditch effort to take the win from your opponent. I would go as far as to say you don’t need to play the other Tekken games to know what’s going on with the story. Tekken 7 does an awesome job of reflecting on past events to get you up to speed when you play story mode. Not only does it reflect on the past as you play, the gallery mode has the story endings for every character from the first Tekken until the present, which you buy with fight money. The only difference with earning fight money in Tekken 7 is that there is a treasure battle mode in which you can both earn money and unlock clothing, accessories and more for each character. Tekken as a whole has never failed to be exactly how a fighting game should be without losing its edge, and if you haven’t played any of them I highly recommend trying the series out. It is one of the best, if not the best, fighting game series of all time.